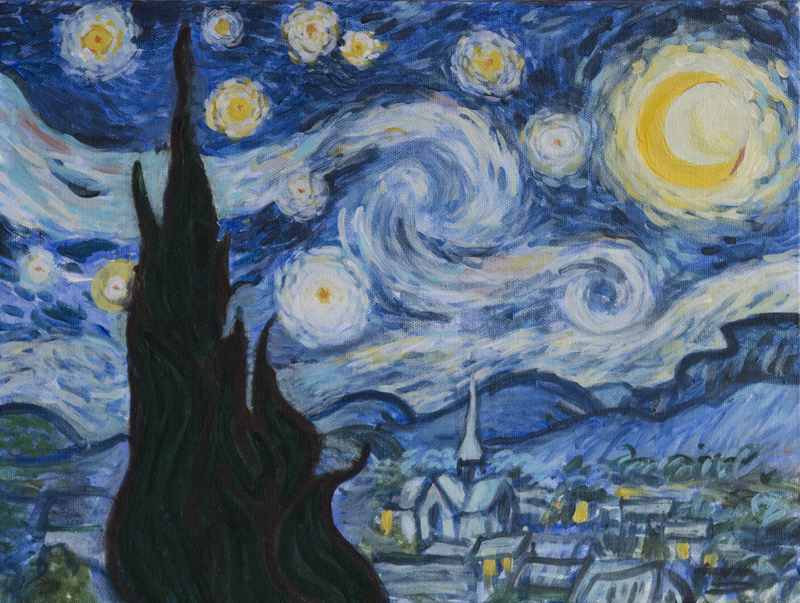 Wiley Purkey: Painting Starry Night LIVE! Please join me on Saturday, March 31st, as I will be painting a replica of Vincent Van Gogh's most iconic painting, The Starry Night. Van Gogh would be 163 years old on Friday, March 30th. I will be painting from 11 until 4. Stop by, have a seat, ask questions, and stay a while to observe the creative process. The event will be held at the Eldersburg Branch Library, 6400 Hemlock Drive W. Eldersburg, MD.